How To Be A Pro At Pocket Mortys - The Pokemon-Like Mobile Game! Rick and Morty is one of the most interesting shows on TV, if not one of the best. If you’re wondering what the show is about: it’s a twisted cartoon inspired by Back to the Future wherein a genius, drunken scientist, Rick, takes his grandson Morty on all sorts of crazy sci-fi adventures. Not only does the show explore fascinating thematic concepts, but it’s really funny as well. Which is why it’s no surprise that there was quite a bit of fanfare when Pocket Mortys, a video game for iOS and Android, was released. 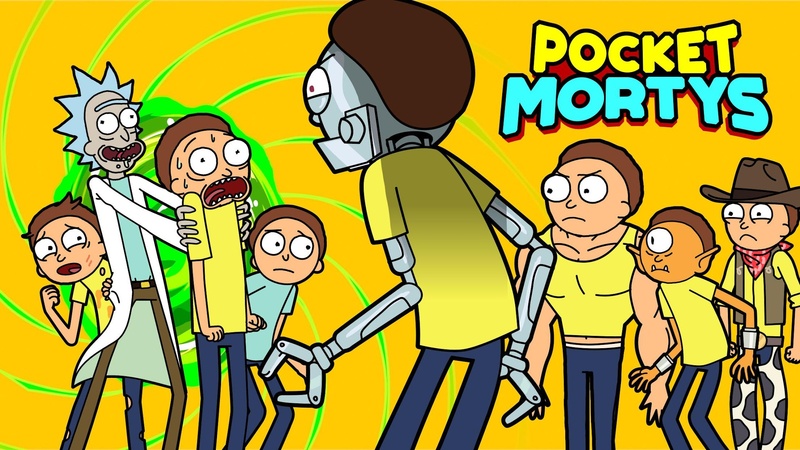 But being a video game based on a fantastic animated series isn’t the only reason why Pocket Mortys was talked about. Pocket Mortys is basically Pokemon. 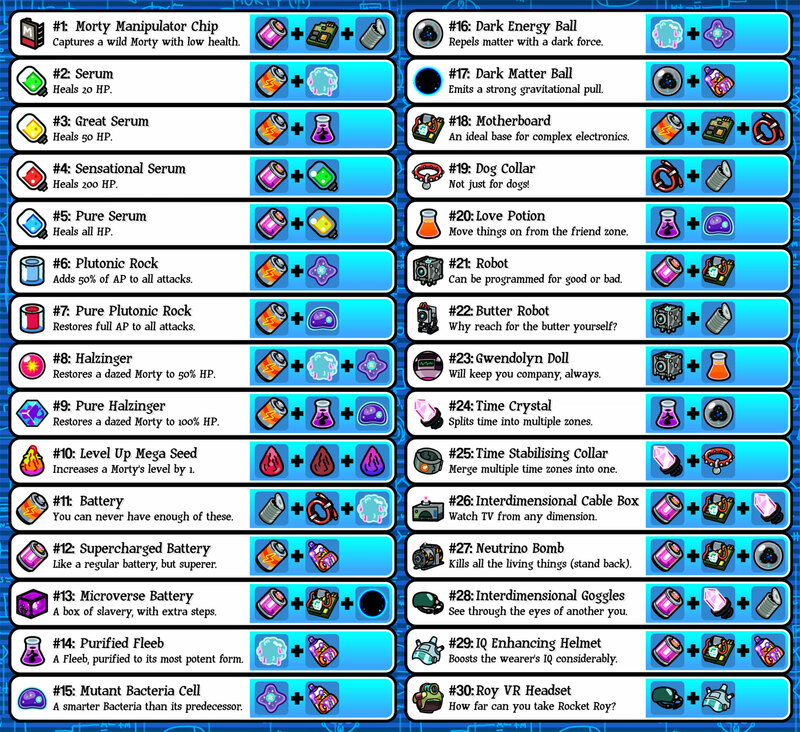 Your first priority should be to capture one Morty of each element (rock, paper, scissors). Finding wild Mortys isn’t like in Pokemon where you wander around in tall grass. Instead, you see them on the overworld and you have to chase them around until they grow tired before you can initiate a battle with them. Knock them down to a low health and then unleash a Morty Manipulator Chip on them to get them on your side. If you run out of room in your group, new Mortys will be transferred to the Citadel of Ricks. At the Citadel, you can swap out Mortys in your party and also craft and purchase useful items. But most importantly, you can also combine two Mortys of the same type to get a stronger Morty. Here’s a tip: Egg Morty (if you manage to find him) hatches into The One True Morty at level 20. 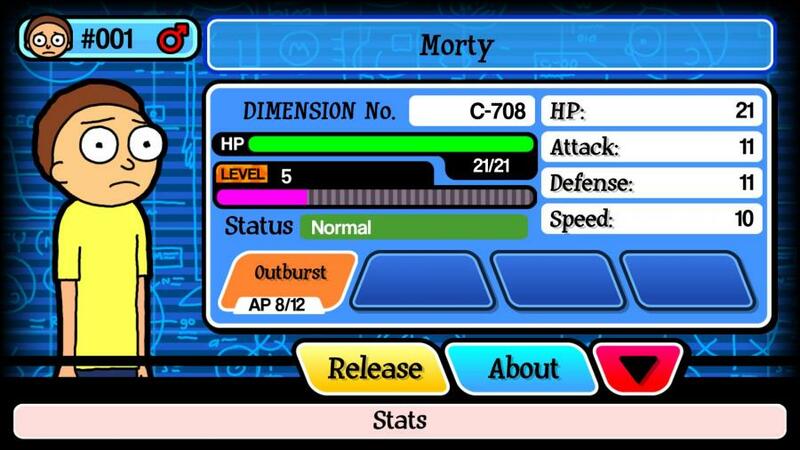 His stat growth is ludicrously high and he is one of the best Mortys in the game. You have five total slots on your team at any given time, and one slot is always taken up by your original non-elemental Morty. With the three elements, and your non-elemental Morty, this leaves you with your final slot, which you should fill with your strongest Morty regardless of element. Picking your skills as you level is critical to getting an edge in battle. Buffs and debuffs are almost universally bad because, unlike Pokemon, fights don’t last as long in Pocket Mortys for them to matter much. For the most part you will want to have a single neutral element attack and the rest of your skills be elemental attacks. By loading up on attacks you can hold onto the strongest skills with the lowest maximum AP and still have enough attacks to last through multiple trainer battles. Always hold onto the highest base damage attacks and drop the lower ones to make room. Enemy trainers are scattered throughout each level, with a Rick at the end acting as a ‘gym leader’, and ideally you’d want to battle all of them to gain experience and level up your Mortys. Keep in mind however that there is no equivalent of a Pokemon Center outside of the Citadel, so the only way to heal up your Mortys is to use your healing items. You can also sneak around trainers by avoiding their field of view to avoid battling them. It’s okay to succumb to defeat however, as there’s no real downside and it’s an easy way to reset your health. Doing so will also help you conserve your items for when you really need them, and also allow you to focus on tracking down crafting materials rather than having to bee line for the level’s end boss. Pocket Mortys is a highly entertaining and enjoyable game that really captures the essence of the show, and comes with enough content to keep you occupied for a long time. It’s also as close as you’re going to get to playing Pokemon on your phone without having to run an emulator.